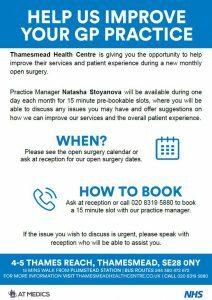 Thamesmead Health Centre is giving you the opportunity to help improve their services and patient experience during a new monthly open surgery. 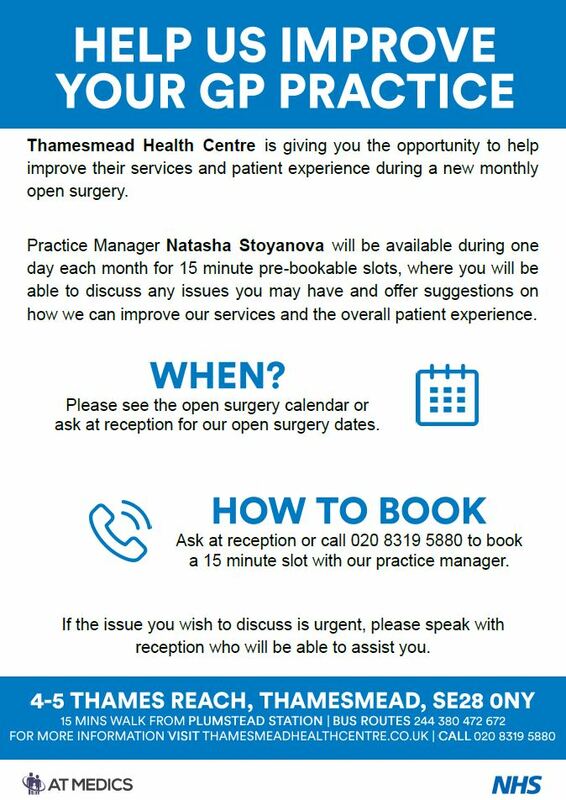 Practice Manager Natasha Stoyanova will be available during one day each month for 15 minute pre-bookable slots, where you will be able to discuss any issues you may have and offer suggestions on how we can improve our services and the overall patient experience. Please ask at reception or call 020 8319 5880 for our open surgery dates. You can ask at reception or call 020 8319 5880 to book a 15 minute slot with our practice manager.